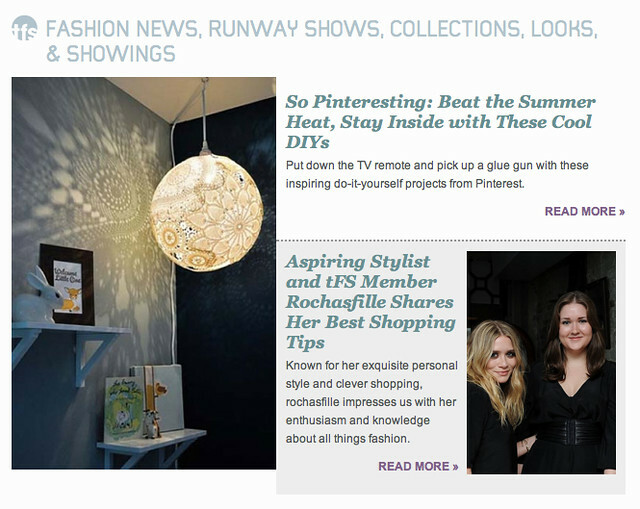 Fashion Nerd Diary: I'm News!! I recently was interviewed by one of my all-time favorite online destinations, The Fashion Spot, where I am currently featured as the third subject in the new Member Spotlight series, which highlights members who contribute regularly to their popular forums. I could not be more in shock or more honored that they found me interesting enough to interview, but they published a whopping two pages of my thoughts. Thanks so much to Pilar, who interviewed me and wrote the amazing full article, which you can read here. What a great interview! It was so nice to learn more about you, as you're one of my favorite tFS members!